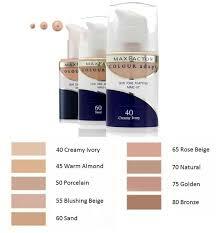 Max Factor – Colour Adapt Foundation gives natural looking coverage without masking your true radiance. Ultra fine formula doesn’t feel dry on the skin. Oil free and suitable for sensitive skin. Dermatologically tested.